"Loving You Is Easy" is a song recorded by Canadian musician, singer and songwriter, Sarah McLachlan serves as lead single off her forthcoming studio album, "The Laws of Illusion" scheduled to hit stores by Arista Records on June 15, 2010. Her website now accepts pre-ordered album and customers will be given "exclusive pre-access" to tickets to the 2010 Lilith Fair along with an instant download of McLachlan's song, One Dream. You can enjoy Sarah McLachlan - It Must Be video gathered from youtube. Loving You Is Easy lyrics performed by Sarah McLachlan can be found below the video. "Hot N Fun" is a song recorded by American rock, funk and hip hop band, N.E.R.D featuring Nelly Furtado serves as first single off the band's fourth studio album, "Nothing" expected to be released on June 15th 2010. They performed the single recently live at the Levi’s Relaunch Party. 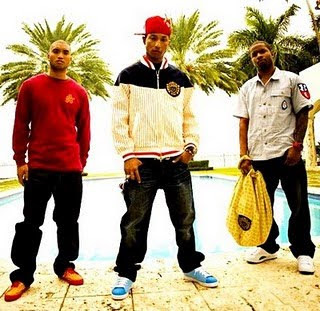 You can enjoy N.E.R.D - It Must Be video gathered from youtube. Hot N Fun lyrics performed by N.E.R.D can be found below the video. For your information Hot N Fun lyrics are performed by N.E.R.D. We know most of you don't like this but we try our best to provide the latest song lyrics that is being released as soon as possible to our visitors. We are really sorry we don't have the lyrics yet. "Too Special" is a song recorded by singer-songwriter actor, Jesse McCartney surfaced on internet recently probably for his upcoming 4th studio album slated for released later this year. 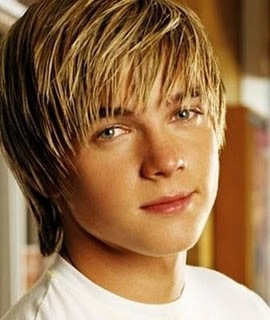 You can enjoy Jesse McCartney - It Must Be video gathered from youtube. Too Special lyrics performed by Jesse McCartney can be found below the video. Thinkin', whatchu doin' in here? Now would you make time for me? Tryna flash they cash, but she's lookin' for more. Let me tell you what I know! No, a girl like you need a private party. I'm gonna make you fall in love. Even though you know I really wanna work your body. You're too special for the club. And I still ain't got your name girl. Tell me what're you doin' in here? And where you goin' after that? Whatr'e you doin' in here? 'Cuz I'm gonna have to take you back. Baby, tell me what it is.